UCLA scientists have succeeded in making unique nanoscale droplets that are much smaller than a human cell and can potentially be used to deliver pharmaceuticals. "What we found that was unexpected was within each oil droplet there was also a water droplet — a double emulsion," said Timothy Deming, professor and chair of the UCLA Department of Bioengineering and a member of both the California NanoSystems Institute (CNSI) at UCLA and UCLA's Jonsson Cancer Center. "We have a water droplet inside of an oil droplet, in water." "The big challenge," Deming added, "was to make these double-emulsion droplets in the sub-100-nanometer size range with these properties and have them be stable. We have demonstrated we can make these emulsions that are stable in this size range, which no one has ever been able to do before. These double nanoemulsions are generally hard to form and very unstable, but ours are very stable." Emulsions are droplets of one liquid in another liquid; the two liquids do not mix. 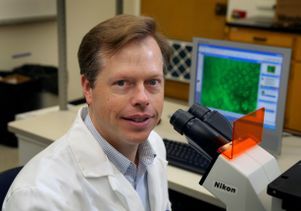 "This gives us a new tool, a new material, for drug delivery and anticancer applications," said Thomas G. Mason, a UCLA associate professor of chemistry and physics who has been leading research on nanoemulsions since he joined UCLA five years ago. Mason, who holds UCLA's John McTague Career Development Chair, is also a member of the CNSI. 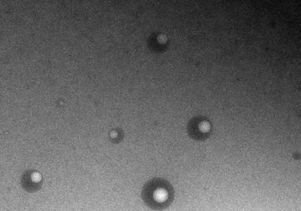 Deming and Mason have made nanoemulsions containing billions of double nanodroplets. Their research, reporting on droplets smaller than 100 nanometers — the world's smallest double emulsions — appears in the Sept. 4 edition of the journal Nature and is currently online. "If we have water-soluble drugs, we can load them inside," Deming said. "If we have water-insoluble drugs, we can load them inside as well. We can deliver them simultaneously." "Here, you effectively combine both types of drug molecules in the same delivery package," Mason said. "This approach could be used for a combination therapy where you want to deliver two drugs simultaneously at a fixed ratio into the same location." It might be possible to insert a pharmaceutical inside a droplet and inject the droplet inside a cell, the scientists said. Could these droplets release their cargo inside a cell? "We're working on it," said Deming, who designs and engineers molecules. "There's a pretty clear path on how to do that. There are still challenges for drug delivery, but we have demonstrated the key first step, that we can make these double emulsions that are stable in this size range." The cargo could be a protein toxin that helps to kill the cell. For example, one approach might involve an anticancer drug in the oil and a toxin-protein in the water — two molecules trying to kill the cell simultaneously. While a cell can develop resistance to a single drug, the combination approach can be more effective, the scientists said. Deming and Mason caution that while this approach holds promise for fighting cancer, there are still many steps, and likely many years of research, before patients could be treated in this way. Clinical trials using this research would probably be years off. "We'll have to do a lot of fine-tuning, but this approach has a lot of advantages," Deming said. "The size of these is a big advantage. We have discovered unique molecular features that can stabilize double emulsions. These are promising, but it's early on, and there are many ways these can fail. But we should at least learn how to make better drug-delivery vehicles." In future research, Deming and Mason want to make sure the droplets can harmlessly enter cells and release their cargo. The nanodroplets could potentially be used in cosmetics, soaps and shampoos as well. NanoPacific Holdings Inc. has licensed this nanodroplet technology from UCLA to develop and commercialize the technology in a variety of applications. Deming's laboratory is trying to take some of the key features that make proteins special and put them into synthetic materials. "Tim has these beautiful molecules that he can design and customize," Mason said. Deming saw Mason give a UCLA talk about simple nanoemulsions in which Mason was coating nanoscale oil droplets in water using natural proteins; the two agreed to try to combine the advantages of their materials, and their collaboration was born. Both scientists said working together has been "fantastic." Emulsions are a way of taking an oil, which doesn't mix with water, and putting it in a water-friendly environment, where, dispersed as droplets, it behaves like a fluid. Emulsions have complex properties and are found in many products, including foods, plastics, cosmetics, oil and paints. "In the emerging field of nanoemulsions, this research is a big step," Mason said. As a graduate student at Princeton University in the early 1990s, Mason founded a field called thermal microrheology that is now used by scientists worldwide. Microrheology is a method for examining the viscosity and elasticity of soft materials, including liquids and emulsions, on a microscopic scale. Co-authors on the Nature paper are lead author Jarrod A. Hanson, a UCLA graduate student in Deming's laboratory; Connie B. Chang and Sara M. Graves, both graduate students in Mason's laboratory; and Zhibo Li, a postdoctoral scholar in Deming's laboratory. 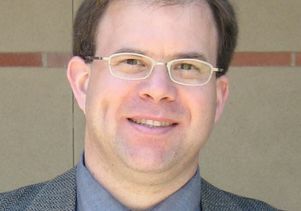 Deming received a grant from the international Human Frontiers of Science program (www.hfsp.org) to support Hanson's research. For more information about Mason's research, visit www.chem.ucla.edu/dept/Faculty/Mason. For more information about Deming's research, visit http://deming.seas.ucla.edu. The California NanoSystems Institute (CNSI) is an integrated research center operating jointly at UCLA and UC Santa Barbara whose mission is to foster interdisciplinary collaborations for discoveries in nanosystems and nanotechnology; train the next generation of scientists, educators and technology leaders; and facilitate partnerships with industry, fueling economic development and the social well-being of California, the United States and the world. The CNSI was established in 2000 with $100 million from the state of California and an additional $250 million in federal research grants and industry funding. At the institute, scientists in the areas of biology, chemistry, biochemistry, physics, mathematics, computational science and engineering are measuring, modifying and manipulating the building blocks of our world — atoms and molecules. These scientists benefit from an integrated laboratory culture enabling them to conduct dynamic research at the nanoscale, leading to significant breakthroughs in the areas of health, energy, the environment and information technology. For additional information, visit www.cnsi.ucla.edu. The UCLA Henry Samueli School of Engineering and Applied Science, established in 1945, offers 28 academic and professional degree programs, including an interdepartmental graduate degree program in biomedical engineering. Ranked among the top 10 engineering schools at public universities nationwide, the school is home to seven multimillion-dollar interdisciplinary research centers, in space exploration, wireless sensor systems, nanotechnology, nanomanufacturing and nanoelectronics, all funded by federal and private agencies. For more information, visit www.engineer.ucla.edu. UCLA is California's largest university, with an enrollment of nearly 37,000 undergraduate and graduate students. The UCLA College of Letters and Science and the university's 11 professional schools feature renowned faculty and offer more than 300 degree programs and majors. UCLA is a national and international leader in the breadth and quality of its academic, research, health care, cultural, continuing education and athletic programs. Four alumni and five faculty have been awarded the Nobel Prize.